Remember that old maxim, the only constant is change? With the speed of global business increasing, leaders are constantly faced with change. Some of this change is driven by external factors – like competitors’ activities or new technologies – while other changes are internally driven, like when a new leader is tasked with turning around an underperforming company. Change comes at us from all sides, and requires come clever organisational design to be successfully managed. But what is organisational design? And why is it so important? Organisational design involves breaking an organisation down into its operational parts, then connecting those parts together to achieve the goals set out in the business strategy. It is important because it ensures that an organisation works well and is profitable. Sounds simple, doesn’t it? Yet over the years we have seen so many leaders struggle with redesigning their organisations to successfully navigate the changing business environment. Their businesses lose ground to whatever forces are working upon them and they are unable to achieve the results they expect. Leaders today cannot afford to do this. “Declare amnesty for the past”: While it is crucial to start any process of organisational design with corporate self-reflection, getting stuck going over and over the old system does nothing to progress the situation. Instead, as Neilson and his colleagues suggest, declare an amnesty for the past and explicitly agree that you won’t try to defend or blame the design currently in place, but simply move on. “Fix the structure last, not first”: It’s tempting to short cut the organisational redesign process by simply rewriting your org chart, but this kind of ‘change’ is not really change at all. We know that if companies start by looking at the areas they need to improve and figuring out how to make them better, then the right organisational design often emerges during the process. So work out what you need to improve to reach your business goals and how you will go about it, then draw your org chart around that. Think about the people you need and want: Just like an org chart might work in theory but not in practice, an organisational design created for theoretical people won’t work either. As Neilson and his colleagues suggest, leverage the talent you have and want to retain and define the types and personalities of the people you’re seeking to recruit and design positions around them. Promote accountability: Research has shown that the strongest factors for improving the execution of an organisation’s business strategy are information flow and decision rights; in fact, Neilson and his colleagues found that these factors were twice as powerful as, for example, an organisation’s structure or motivators. We know that if information flows freely through an organisation and people are empowered to make decisions, their accountability increases and their performance improves. Make sure you consider these in your new organisational design. The key to great organisational design is making sure your organisation fits your strategy, so your business is the right shape to achieve your goals. Certus3 is currently working with businesses of all sizes to create exceptional organisational designs that get results. To discuss the opportunity of utilising our experience to create the best design for your business, contact Certus3. [i] Gary Neilson, Jaime Estupiñán and Bhushan Sethi, ‘10 Principles of Organization Design’, Business+Strategy, http://www.strategy-business.com/article/00318?gko=c7329, accessed 29 April 2016. One of the organisational theories gathering momentum at the moment is the concept of virtue and what it means for the success of an organisation. As companies around the world become richer there is increasing pressure on leadership teams to not only do well, but to do the right thing well, whether that means providing nutrition programs for employees and their families or ensuring corners aren’t cut in safety checks. Transforming your business to a ‘virtuous’ model can have significant and long-term benefits, resulting in engaged employees and satisfied clients. To help business leaders better understand the opportunities available, we have outlined the fundamentals of virtuous organisations below. What is a virtuous organisation? While there are several definitions of what constitutes a virtuous organisation, each has the same fundamental core: a virtuous organisation is one with a strong moral compass upon which it creates value for customers, employees, shareholders and the community. Virtuous organisations are not concerned with chasing quarterly earnings that may have dangerous consequences for employees and the local community and environment; they put virtue at the core of their business to give them the edge in the broader marketplace. What characteristics do virtuous organisations share? A clear desire for social as well as financial betterment. Who makes an organisation virtuous? Everyone in an organisation is responsible for making it virtuous, but virtue must start with and be championed by the organisation’s leader: it is the leader’s values and vision that define and shape the organisation’s culture. If the leader’s values include compassion, a sense of responsibility, and caring commitment, then the company’s will too. Navigator, guiding the business to do the right things and bring qualities like compassion and integrity into the organisation’s culture and operations. Capital creator, thinking beyond the financial capital to the intellectual and spiritual capital, creating results that exceed the total brain power of the individuals in the organisation, and encouraging a motivational force that makes everyone want to do their best. Value generator, creating ‘value circles’ that emanate out from them, through all levels of the organisation, and ultimately to customers and the community. How does mindfulness work in virtuous organisations? Mindfulness involves concentration, focus and harnessed energy, so in an organisational context, the spiritually mindful person is aware and discerning, able to identify issues clearly while also seeing the bigger picture, and acts virtuously, all of which are crucial capabilities for an organisation undergoing growth or change. The bottom line is, how we treat each other, our customers and our surroundings, affects how well our businesses do. We know that companies benefit by considering what it means to be virtuous, because to succeed today we must do the right thing, and do it well. Certus3 is currently working with virtuous organisations to develop sustainable operating models, which put virtuous concepts front and centre. 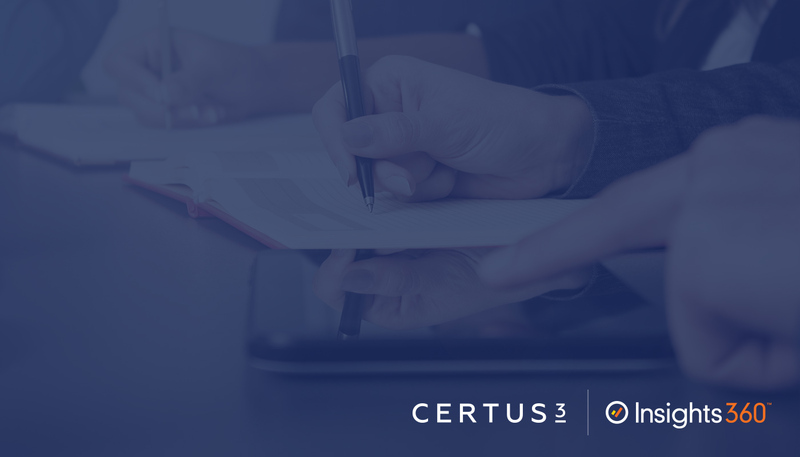 To discuss the opportunity of utilising our experience to explore the development of a virtuous operating model for your business, contact Certus3. [i] Islam, F and E Crego, ‘The Need to Build Virtuous Organizations,’ http://www.huffingtonpost.com/frank-islam/the-need-to-build-virtuou_b_4460396.html, accessed 6 April 2016. A lethargic start to the New Year is a sure-fire way to put your project on the back foot when the team returns from the festive season. High-velocity progress is the new normal for programs of work, so consider these 5 steps to set up your 2016 for success. Resolve to communicate with positive intent. Move early on your return to gather your team and refresh the collective understanding of short and medium term deliverables and to prepare solutions to the blockers that tired teams invariably hold over for New Year resolution. Manage expectations. Be clear with yourself and your sponsors about what your team is to achieve in the near term and that assumptions made earlier remain true. The chance for objective reflection that Christmas leave provides can often alter previously strongly held beliefs. Celebrate success. Recognise your team’s 2015 achievements and highlight the positive behaviours that contributed to those great outcomes. Avoid the trap of repeating mistakes made in the past when a slight chance in course can save recidivist practices. Achieve a quick win. Nominate a task that has a high likelihood of success early in the New Year to quickly restore motivation and instil confidence in the year ahead. Make it your New Year’s resolution to accomplish these steps with grace, goodwill and cheer and you’ll make a fantastic transition from the festive season back into your program of work. Asciano, Australia’s national rail freight and cargo port operator has recently completed a major IT Transformation Program, aimed at moving key IT infrastructure and applications to the virtual cloud environment. Asciano “has achieved the initial platform from which further cloud-based, Software as a Service (SaaS) and Infrastructure as a Service (IaaS) enhancements can be made,” explained Sarah McCullough, Program Gemini’s former Business Program Manager and current Asciano IT Customer Experience Manager. “The completion of Asciano’s first major cloud-focused foundation-building program of work, led by our CIO, was made possible by a team of great people, including Certus3 and its team of expert PMs. 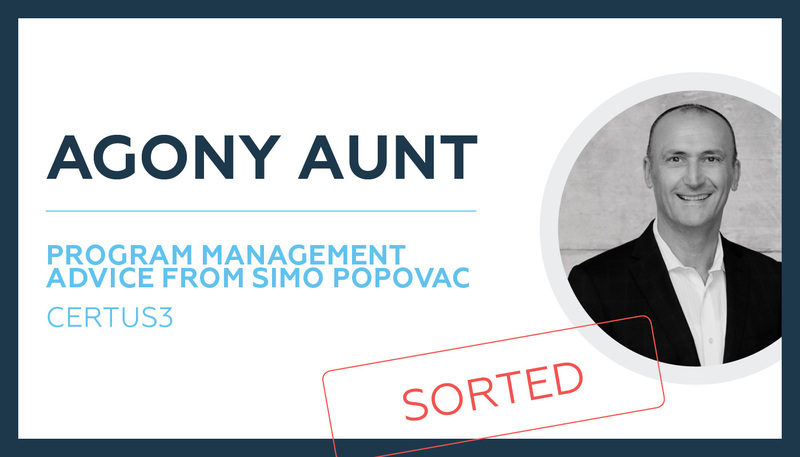 Simo Popovac, Michael Devlin, Simon Toll and the extended team demonstrated a firm commitment to delivering our project on-time, within the defined budget and to a high level of quality. ” said Ms McCullough. Charisma is a quality that many of us in the project community often mistake for ‘charm’, but a person’s charisma can influence whether we choose to engage with them – or not. Charisma can help enable influence and inspiration – gold for any Project Head or Business Transition/Change Manager looking to distinguish them self as a leader, rather than merely a manager. Often associated with movie stars, sports people, populist politicians and dictators, charisma is actually identity-neutral and can be developed by anyone. Sociologist Max Weber (1864-1920) pioneered research into charisma as a leadership capability, defining charismatic leaders as those who can inspire, motivate and attract followers. Contemporary studies have shown that the full spectrum of personality types, notably including introverts, can demonstrate charismatic behaviour. Indeed, sociologists appear near to arriving at consensus on the set of characteristics common to charismatic people. 1. High Self-Esteem – self-confidence, inner-calm, self-reliance, independence. Charismatic people have high self-esteem – which conveys confidence and authenticity. When you have high self-esteem you are relaxed about exposing your authentic self. 2. A Driving Force – purpose, personal values, principles. Charismatic people have an underlying sense of purpose, a set of values – principles important to them – which drive their decisions and actions. 3. Sensory Awareness – empathy, emotional intelligence (EQ). Charismatic people are aware of their own feelings and the feelings and moods of others. They are in touch with their emotions and are uninhibited about showing them, making their communication compelling. 4. A Vision – visualization, belief, a mental picture, a positive attitude towards an aim. Charismatic people have a strong vision of what they want. To imagine and believe the aim – to see it happening in your mind. This creates strong intent that others can feel, and often see and hear too. 5. High Energy – passion, enthusiasm, commitment, determination. Exhibiting high personal positive energy builds and maintains a positive energetic response in others. Positive energy makes others feel good, become energised, feel valued and productive. 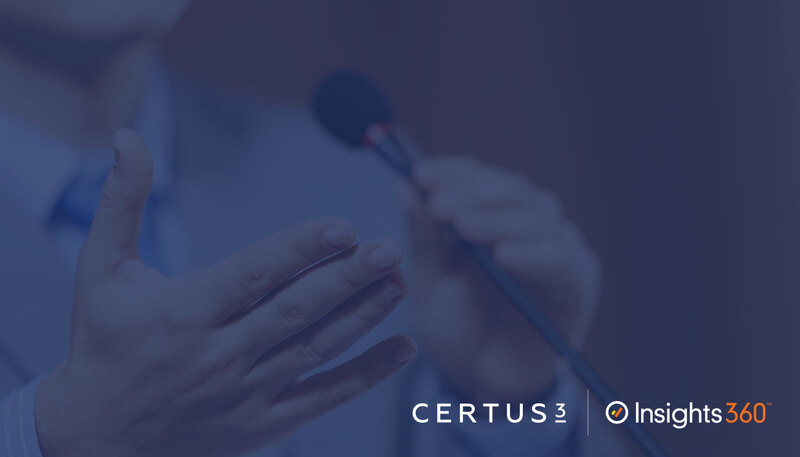 The Certus3 Business Transition Model incorporates strategies and activities that support the development of the abovementioned ‘charisma competencies’ for change leaders. Wouldn’t your life be easier, if you could inspire, motivate and excite the people in your life? For more information on charisma competency development contact Certus3’s Business Transition Lead, Mel Young.